Quentin graduated from Oxford Brookes University with a First Class Honours degree in Osteopathy. 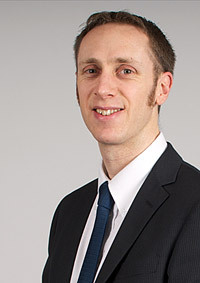 He specialises in musculoskeletal injuries, using a structural approach to treatment. Where appropriate, visceral, cranial and fascial techniques are also used. 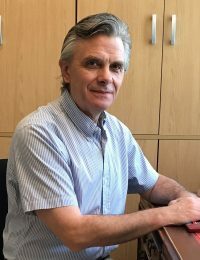 He has experience of treating all age groups from infants through to the elderly, formulating individual treatment plans for both acute and chronic conditions. He is also fully qualified in Western Medical Acupuncture and uses this alongside osteopathic treatment. Quentin has worked with Hull and York Medical School, to teach medical students about osteopathy and sports care. He has also been a Senior Clinical Tutor for Leeds Beckett University where he was responsible for the training of Osteopathic students in their teaching clinic until the course closure in 2017. He is a fully registered with the British Medical Acupuncture Society, the General Osteopathic Council and a member of the Institute of Osteopathy. This means that he is required to remain up-to-date with continued professional development and holds valid professional indemnity insurance. Quentin is a Member of the Primary Care Rheumatology Society and an Associate of the British Institute of Musculoskeletal Medicine. 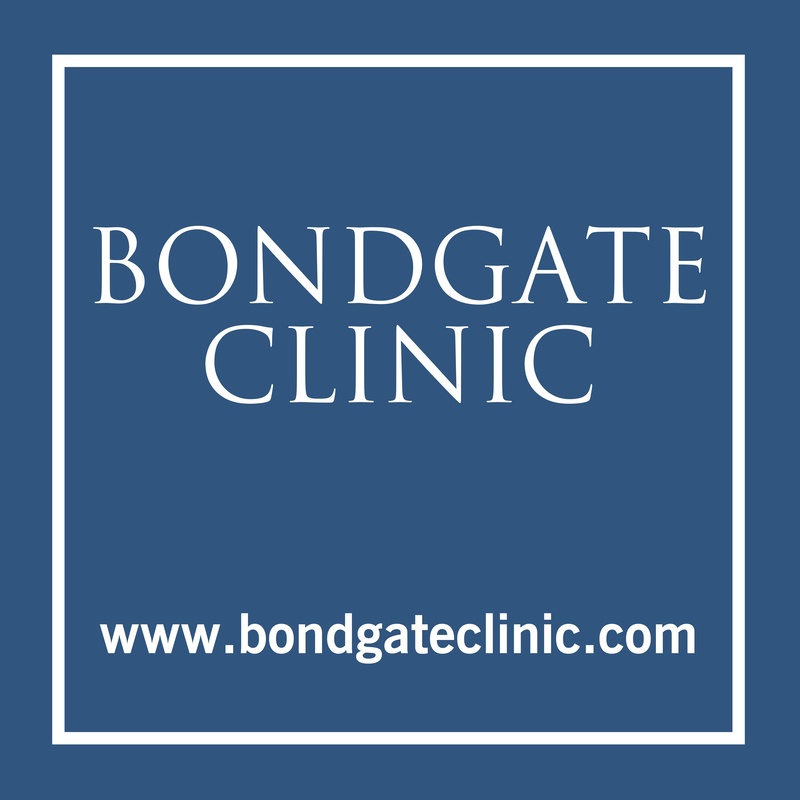 He is a the Principal and owner of Bondgate Clinic. 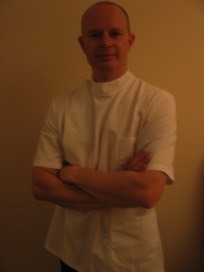 Simon has more than 30 years experience as an Osteopath. He treats a variety of ailments including low back, neck and joint pains. He also treats babies and children, especially using Cranial Osteopathy and other gentle techniques. All sports related injuries. He is a recognised provider with most health insurers and is registered with the General Osteopathic Council and is a member of the Institute of Osteopathy. He has an excellent working relationship with all local GPs and consultants and will write referral letters as and when appropriate. Alan graduated from the Durham School of Podiatric Medicine with a BSc Honours Degree in Podiatry. He has a keen interested in biomechanics of the foot and customised orthotics, along with general foot health including nail care, diabetic foot screening, corns and verrucae, plantar fasciitis, podopediatrics (children) and ingrowing toe nails. He is authorised to use local anaesthetic, and can perform nail surgery where required. He is registered with the Health & Care Professions Council (Registration CH32731), and a fully insured Member of the Society of Chiropodists and Podiatrists. 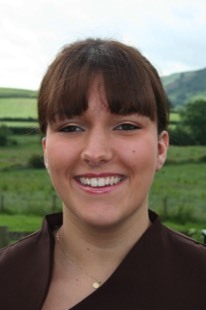 Lyndsey trained at The Academy, Malton gaining City and Guild qualifications for Hair and Beauty Therapy. She has previously worked as a Senior Therapist at the award winning Verbena Spa in the Feversham Arms, Helmsley an specialises in massage, facials and hot stone therapy. Always keen to continue professional development, Lyndsey has gained further qualifications in various treatments including pregnancy massage and camouflage cover makeup. Lyndsey is fully registered with ABT, the Association of Beauty Therapists and BABTAC the British Association of Beauty Therapy & Cosmetology and holds full professional insurance. 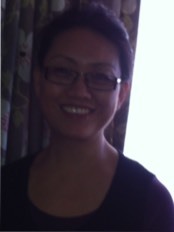 Tsering started her career as a medical doctor. During this time she saw the benefits of acupuncture in patients who were not responding to western medicine. This sparked her interest in acupuncture and later, when her children were young, she went back to college and studied Traditional Chinese Medicine (TCM). Tsering has now been practicing acupuncture for 7 years, including running a pain clinic for NHS patients in Malton for 5 years, treating patients suffering from chronic pain. she also teaches at the Northern College of Acupuncture in York. She is an accredited member of the British Acupuncture Council, the main regulatory body for acupuncturists in the UK. This means Tsering practices under a strict professional code and am committed to ensuring all patients receive the highest standard professional care. 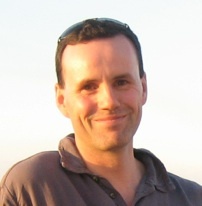 Andrew qualified from Newcastle in 1989 as a Chartered Physiotherapist. He is a Member of the Chartered Society of Physiotherapy (MCSP). During his NHS career he became a Clinical Specialist in Spinal Disorders and established an award winning spinal assessment and rehabilitation unit. In 2002 he became a member of the Society of Orthopaedic Medicine and was awarded the Saunders International prize. 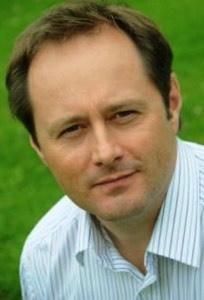 Andrew is consultant for national and international footballers and has worked in Rugby's Super League. He lectures widely in the North of England. For the past 15 years Andrew has run a highly successful private practice over 4 clinics. He works closely with Orthopaedic Surgeons, Spinal Surgeons and Consultant Radiologists to provide a high quality service for all his patients. Lori has worked in the health care service for over fifteen years and has a degree in Nursing. She has had a long term interest in the benefits of complimentary therapies and decided to take this further by undertaking the Swedish massage course in 2005 and then completing diploma courses in Aromatherapy and Indian Head Massage. Lori developed her skills further by completing the Sports Massage diploma which combined advanced massage skills with sports injury and rehabilitation. While undertaking this course she worked alongside a local football team and local rugby union team, as well as providing post sport massage for a running group at a York gym. She has worked at a number of sporting events including the Great North Run providing pre and post event sport massage. Further professional development continues with courses on advanced massage, stretching techniques and medical massage. She is a fully insured member of the Federation of Holistic Therapists and International Council of Holistic Therapies. Karen is a multi accredited, experienced, fully insured, professional Clinical Hypnotherapist and Smoking Cessation Therapist, with a special interest in pain management. She is passionate about the benefits of hypnotherapy and the help it can provide. 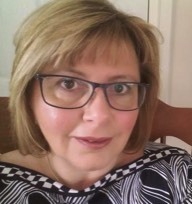 Karen studied a degree at Anglia Ruskin University before moving to North Yorkshire approximately 15 years ago and currently lives in Ryedale. She is committed to continual personal development and study extensively to ensure that her skills are relevant, up to date and in line with current thinking. You can be assured that Karen values your confidentiality and, as a member of a number of governing bodies, she works to a strict set of ethical standards. Ruth has worked in Complementary healthcare for 9 years, working within a clinic environment. Ruth completed her Diploma in Reflexology in 2005, which is fully accredited by the Association of Reflexologists. She has since completed post graduate certification in Maternity Reflexology training with Suzanne Enzer, Midwife and pioneer in this field. She is also qualified to teach and perform Baby Reflexology. Ruth is a qualified Holistic massage therapist, having trained with Vicki Gaughan, completing her Diploma at the Sheffield Centre for Massage Training. The course is accredited by the Massage Training Institute with whom Ruth is registered and insured. S he has since completed post graduate training in Maternity massage studying with Suzanne Yates at the Bristol Centre for Massage Training. Ruth has a special interest in relaxation and the benefits it provides. She runs one-to-one clinic sessions and teaches classes locally, she often incorporating techniques into her other therapy sessions. She has worked with a number of groups locally including the Forestry commission, and the Sure Start centres in Thirsk and Malton. She is a registered with Complementary & Natural Healthcare Council, and is registered and fully insured with the Massage Training Institute. Julie has been teaching Pilates for many years now. She is a fully qualified and experienced Level 3 instructor and is available for private one-to-one sessions, ideal for those students who wish more direct feedback and assistance, or who are unhappy in a class setting. Julie can create Individual tailored programmes to help you achieve your aims. Neil originally joined his Father Derek Charlwood in 2001, passing the Hearing Aid Council examinations the following year to become fully qualified. In 2006 Neil was made a Fellow of the British Society of Hearing Aid Audiologists and is now fully registered under the Health and Care Professions Council. Following Derek’s retirement in 2008, and after several years of being part of a larger national chain, Neil now owns and runs Charlwood Hearing Care. Louise trained as a humanistic counsellor, and her practice is based in the Person Centred Approach to counselling. The fundamental principle of this approach is it that each of us is an expert in our own lives. Louise's role as a counsellor is primarily to listen – very carefully. She will try to help you to become more aware of your needs and help you to identify patterns of thinking, feelings and behaviours that are unhelpful, and those which promote growth and well-being. Finding a counsellor with whom you feel comfortable is really important if counselling is going to be effective. An initial half price face-to-face meeting is an opportunity for us to see if we can work together. At our first meeting we will talk about confidentiality, and you will have an opportunity to explain what has brought you to seek counselling. We may agree a contract for our work together including a regular time to meet and agree an initial number of sessions. We will review our work together regularly to ensure that the counselling is meeting your needs, and work towards a planned ending. Louise is bound by the ethical and professional expectations of the British Association for Counselling & Psychotherapy (BACP) http://www.itsgoodtotalk.org.uk/about-bacp of which she is a Registered Member.